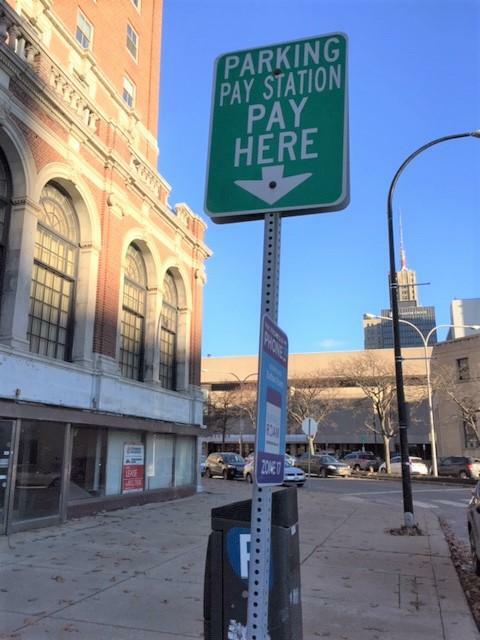 After a tangled demonstration of government needing to jump through the proper legal hoops, the Common Council voted Wednesday to change the rates and the rules for parking downtown. The process of making legal parking in places which aren't legal now will produce around 700 spaces. When it came time to vote on the plan, Council rules didn't allow it because the plan had been changed and not signed off by the mayor. After a long delay and a recess, the mayor signed. Parking Commissioner Kevin Helfer was there, after months of effort to produce the new plan. "It's going to happen over time because it can't happen immediately, because it would be impossible to change all the signage," Helfer said. "So, mechanically, it's going to take a little bit of time. We will probably start in the southern portion of the district, down around the Arena where there were spaces for events that we hadn't been charging for and then just move our way north." The largest changes are raising the per-hour price and charging until 10 p.m. City officials said parking rates are so low and so restricted in time, people park all day or residents park all night. Councilmembers were told it's becoming a city-wide problem. Councilmember Joe Golombek said it is a problem in his North District, especially on Tonawanda Street where meters were removed two years ago. "At the last business association meeting, I had a bunch of the business owners that approached me and said, 'Would you be willing to put the meters back in on Tonawanda Street?' Because we're having the same problem there, as we are getting more restaurants, more businesses on the street," Golombek said. "We probably have twice the businesses that we did six years ago. We have people that are parking on the street all day." There will also be an educational campaign on the new rules, and to continue to persuade residents downtown to stop parking on the street and shift to the low rate offered to park overnight in the ramps. The goal is to open up street parking for stores and restaurant customers. By April 1, Helfer has to report how it is going and whether the new spaces are creating turnover for more business. It's going to be easier to park in Buffalo's Central Business District, although it might cost a buck or two more. The cost of parking a vehicle at several downtown Buffalo lots, as well as the means by which lot operators enforce payments, has one board member at Buffalo Place accusing the owners of price gouging. The president of a local parking lot business, though, says what they're doing is fair, legal and reflective of market demands.